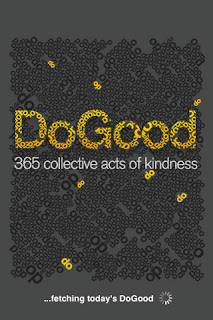 Suppose 1 million people decided to do the same random act of kindness on the same day? 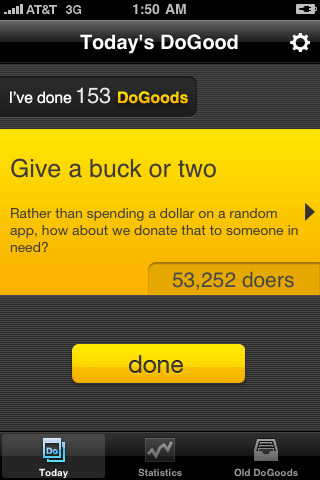 Well, the DoGood App @ Apple invites you to do just that. 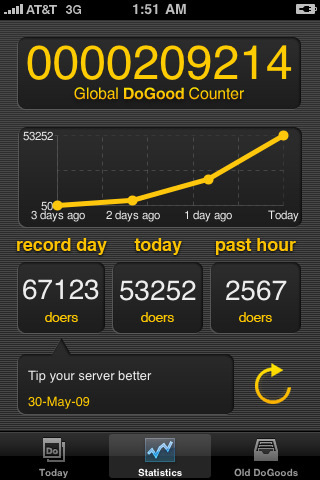 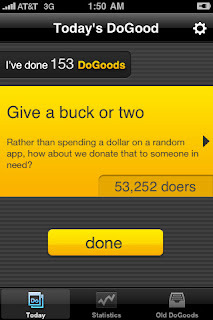 Every day one DoGood is announced and once you complete it you press – Done. 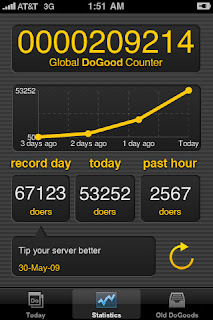 You can check out the statistics for the day and you can also look back at old DoGoods and check those statistics and read posted stories about that particular Good Deed. 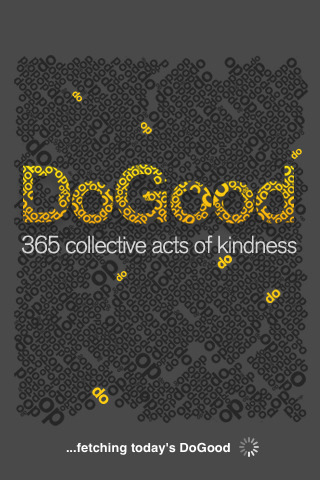 Let’s add some more Good to the world!